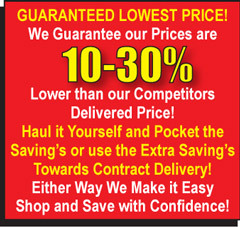 Picked-up or Delivered Kutter’s will save you Money! Complimentary warehouse pick-up service is available immediately after your purchase or whenever it’s convenient for you during our hours of operation. Our Warehouse is attached to our showroom and 98% of what we have is in stock! We give you Cash Back off the Sale Price to Pick-up! Please arrive at least 30 minutes prior to closing. This service includes an inspection of your furniture upon your arrival. Our highly trained staff will load and tie down your purchase. Remember to bring any items you may need to pad and secure your items in or on your vehicle for safe transportation. Kutter’s Furniture cannot be responsible for any damages discovered after pick-up from our store. 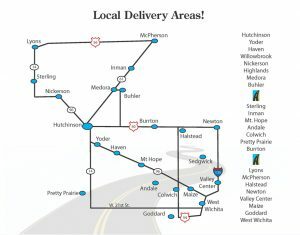 Kutter’s Furniture offers Delivery and set up in the following areas…Hutchinson, West Wichita, Maize, Goddard, Valley Center, Mcpherson, Yoder, Haven, Willowbrook, Nickerson, Highlands, Medora, Buhler, Sterling, Inman, Mt. Hope, Andale, Colwich, Pretty Prairie, Burrton, Lyons, Halstead, and Newton. Our Delivery team will place your purchase safely in your house. Delivery outside of our Delivery area can be contracted by outside delivery agencies.